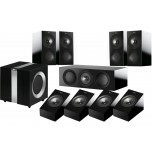 These speaker packages combine a pair of front speakers (bookshelf or floorstanders), a centre speaker, subwoofer and pair of rear speakers (usuaslly bookshelf or satellite speakers), including everything you need to enjoy cinema sound at home. 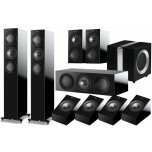 Most of these are 5.1 (five speakers and a subwoofer which is the "0.1" bit), although you can add an additional pair of side-rear channels (bookshelf or satellite speakers) for 7.1 channels. 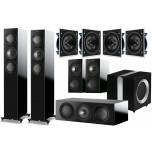 All of these speaker packages need to be connected with a suitable AV receiver. 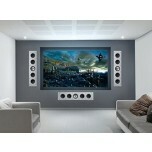 For advice and the best AV package deals, please call or e-mail us. 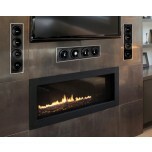 We stock a range of award-winning Surround Sound Speakers, ranging from entry level to high-end. Our models are available in a range of finishes, sizes and configurations – ranging from 3.0 to 7.1, and we are happy to custom tailor any package to your needs. As always, our dedicated and friendly staff are knowledgeable and happy to assist with any queries or by arranging a demonstration. 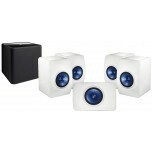 We offer free next day UK delivery on all our Surround Sound Systems. 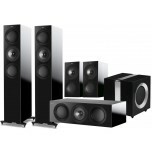 By having speakers positioned around the room, in front and behind of your listening position, Surround Sound Speakers offer an unrivalled home cinema experience – enabling you to immerse yourself in your favourite movies and TV and really feel that extra bit closer to the action. 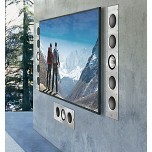 Some models use smaller, purpose-built home cinema speakers, which are easier to accommodate in the average living room and may even include wall or ceiling mounting options. 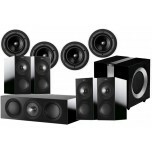 However, many of our Surround Sound Systems utilise hi-fi speakers as the front and rear channels, either bookshelf or floorstanders, which benefit from improved soundstage, imaging and fidelity and can help to offer a much greater cinematic experience. 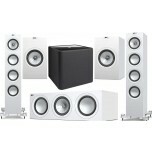 The addition of a dedicated subwoofer adds significantly better bass performance than just speakers alone. Bass is responsible for the rumble of the engine in a car chase, or the impact of an explosion in an action movie. 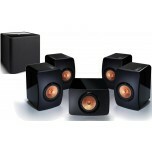 By having a good quality subwoofer, these scenes will be more impactful and more immersive, resulting in a much better cinematic viewing experience. 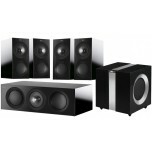 Some Surround Sound Systems that we offer utilise Floor Standing speakers as the front channels – which are ideal as they can offer greater scale, soundstage and bass performance. 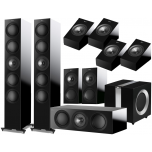 This improves the overall coherency and stereo imaging of the system, which will help with creating the impression of immersion in the audio of your movie or TV show. 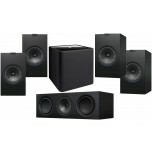 Alternatively, as a compromise between space and sound, Bookshelf speakers can also make excellent front channel speakers as, while they lack the added bass of their floorstanding counterparts, they can more than make up for it with rhythm and attack, particularly as a dedicated subwoofer handles the majority of bass frequencies. 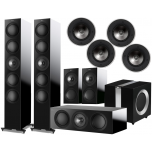 Like hi-fi stereo speakers, bookshelf speakers used as Surround Sound Speakers will perform much better on dedicated speaker stands, which will position the speakers at the ideal listening height, and will prevent unwanted resonance effecting the overall sound they produce. Many models of speaker stands can be filled to add mass and weight. 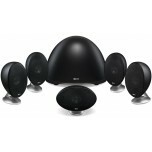 This not only improves the stability of the speaker stand, but can also add bass impact and authority to your speakers. 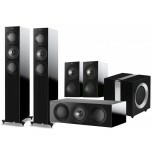 The centre speaker makes up a large amount of dialogue and mid and high frequencies – meaning that selecting a centre speaker to tonally match the rest of your Surround Sound Speakers is a must. 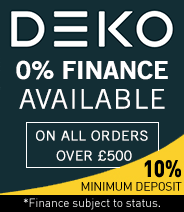 This isn’t a worry with out hand selected range of systems as we offer bundles of speakers designed and built to sound perfect in unison with one another. 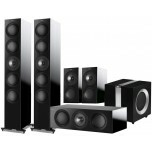 Once again, a centre speaker will perform better on a dedicated speaker stand. 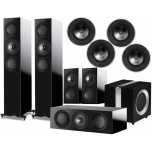 Please call or e-mail us for a complete AV package deal or for further advice on any of the 5.1 speaker packages that we sell.